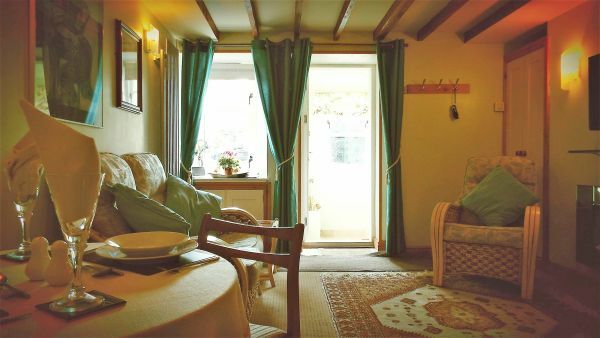 Benfield Cottage is full of charm and character. 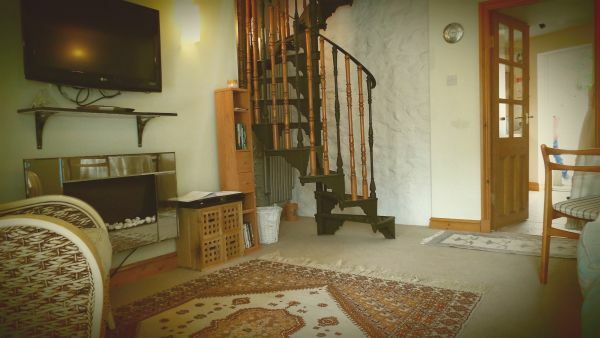 It has a beamed ceiling and spiral staircase to the first floor. You can leave your boots in the newly built porch and step up to the lounge/dining room. There is a wall mounted flat screen tv and DVD player for your entertainment and free WiFi. 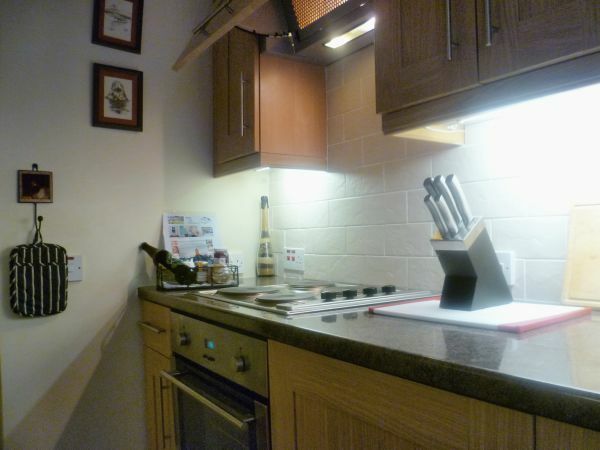 The seperate kitchen is fully equipped for two people and has a full oven and hob, washing machine, microwave and fridge with ice box. Outside there is a small courtyard garden which is a real suntrap in the warmer months. 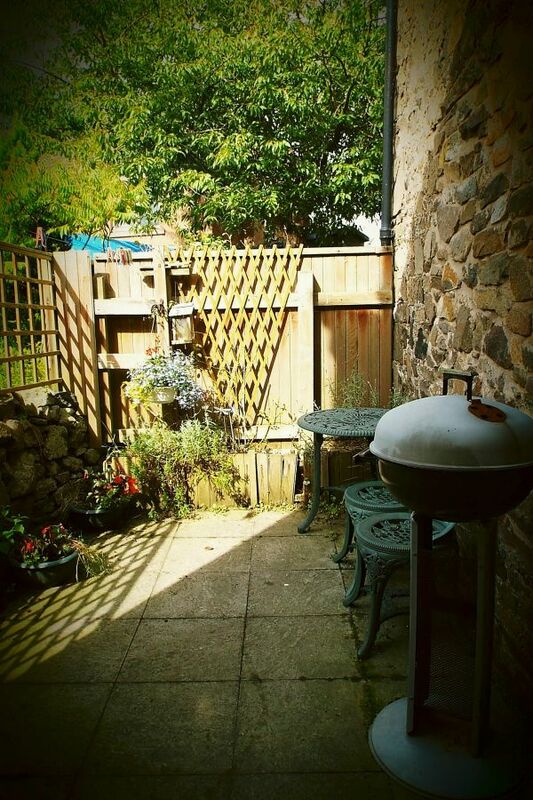 BBQ and garden furniture is provided. The airy bedroom is reached via the spiral staircase and has a king-size bed. Here you will find another tv and radio and tea making facilities. 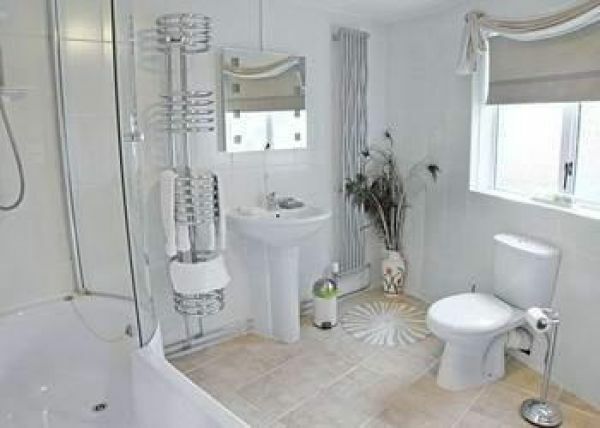 The large, stylish bathroom has designer radiators and full bath with shower, illuminated mirror with razor point and all towels. The fact that Benfield has modern double-glazing and insulation with central heating means that a visit in the Winter can be good too! Morebattle village has a great pub which serves good meals (about one/two minutes walk), an award winning butcher's shop (four doors away) and a useful village store (two doors away). Kelso is only six miles away and has a full range of shops, banks, doctors, vets. etc. 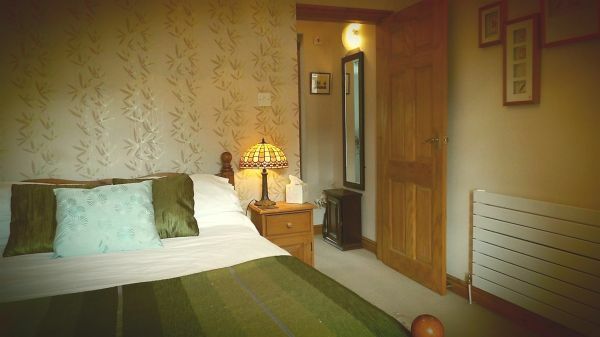 This is a wonderful location for a holiday as it is set in magnificent scenery, close to the Northumberland National Park. St. Cuthbert's Way footpath passes through the village as does Scotland's National Trail. 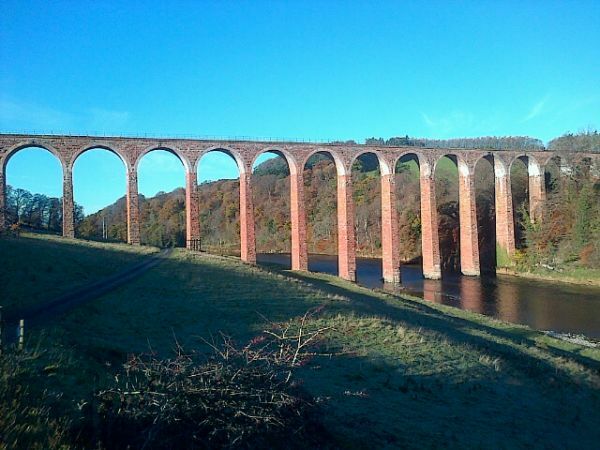 The Border Abbeys are all nearby and it is only half an hour to the glorious beaches of Berwick and Northumberland, Holy Island, while Edinburgh will take only I hour to reach. 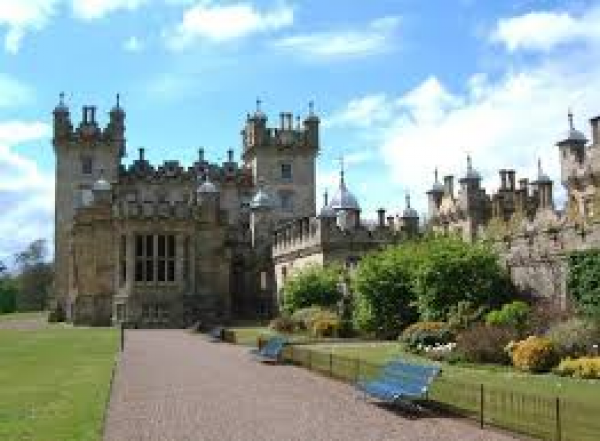 Take a trip to Abbotsford the house of Sir Walter Scott or to Floors Caslte in Kelso. Maps and walking routes are provided. Off road parking is available in froint of the cottage. One dog is welcome at no charge. 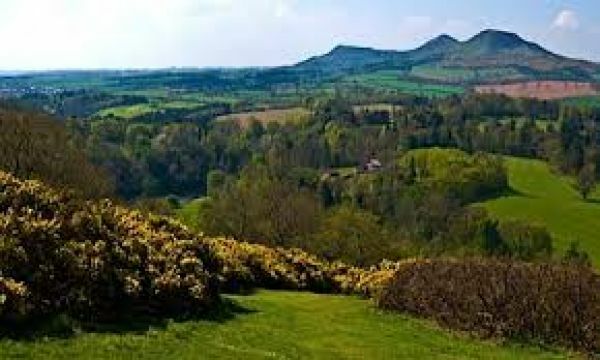 Come and enjoy this little part of the English/Scottish Borders now with a stay in what was (originally) a WELSH village! 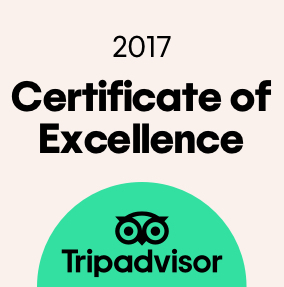 I stayed 11 nights, and received a warm and helpful welcome, and the cottage was very comfortable and had everything I needed, and more. It was very close to the good village shop, and to the pub which had good food. Stayed at cottage Friday 18th to Monday 21st august. Cottage is excellent can't fault it. Had a lovely week end and would love to return. This is our second time staying in Benfield Cottage. We would like to give a great big thank you to Christine and John for allowing us to stay in their gorgeous little mid terrace cottage. The cottage is ideal for a couple with everything you need plus little extras like the welcoming pack. The cottage is a great base for exploring the surrounding countryside. We love the fact that Christine and John welcome dogs and also when you arrive there is no trace of the previous occupants or any dogs they may have had with them. Would highly recommend this cottage. With very short notice we found ourselves staying at Benfield once again. It is still a wonderful cottage for two. On arrival it was warm, beautifully clean, very comfortable and felt like a home. 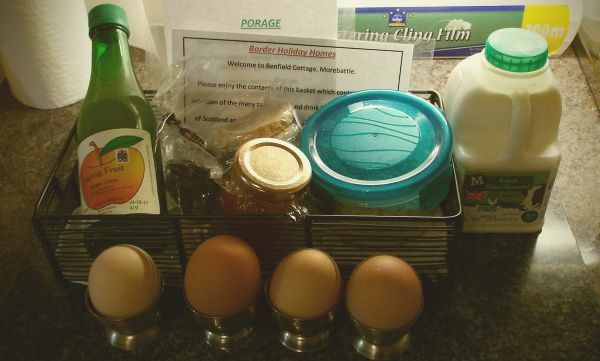 The welcome basket is a lovely treat and introduces guests to some of the local specialities. Our stay was every bit as good as our visit last year. Highly recommended. 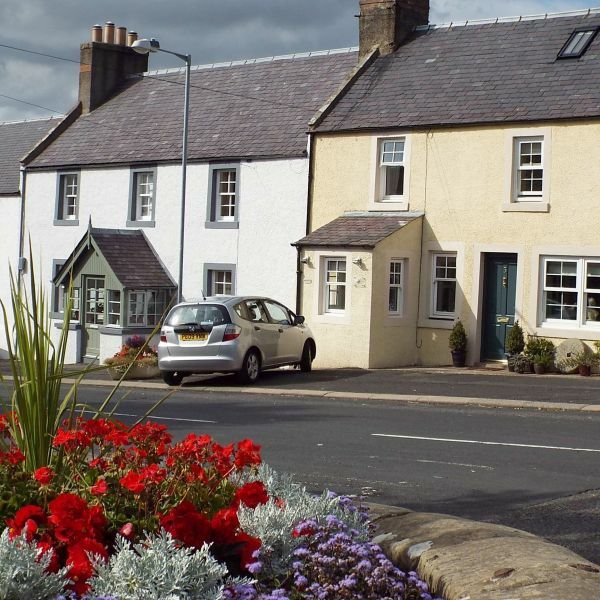 This compact well appointed cottage had everything you needed for a lovely break in the Borders. The village is quiet and has a fab butcher, a wee local shop and a nice traditional pub which we ate at one night and had a lovely meal. You get a mini hamper on arrival and the owner is very helpful indeed. We would definitely go back here.